Alexandros is a Greek-German actor working in theater, film and television since 2009. He has studied Political Science and Psychology in Germany at the RWTH Aachen University and graduated from the Andreas Voutsinas Drama School in Greece. Alexandros’s training includes participating from 2012-2017 at the seminars taught by Andreas Manolikakis (Chair of the Actors Studio Drama School MFA Program, Lifetime Member and member of the Board of Directors at the Actors Studio) on the Stanislavsky System and the Method. He has worked with several theater companies and organizations over the years with the most recent being the National Theater of Northern Greece in the play Eliza directed by C. Hatzivasiliou. 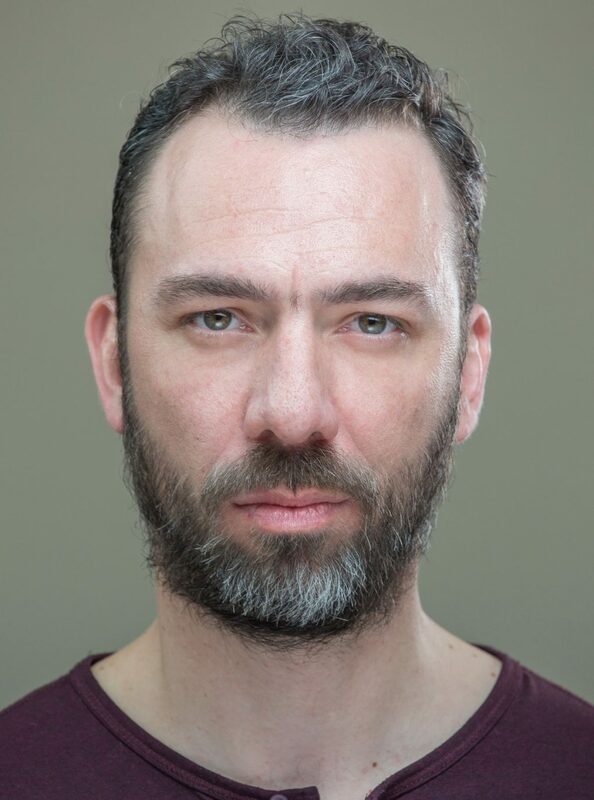 He has participated in several feature films, including the German ARD production “Krügers Odyssee”, the Greek thriller “Katafigio II: The Ice path”, awarded short film 9023 and the sci-fi “iCon”. He recently starred in the feature movie “Canada”, an american project that is still in post production. Alexandros has also been working as a theater director, having directed plays such as Arthur Miller’s The Creation of the World and other Business; as a translator, having translated theater plays from English and German to Greek and as an acting teacher at the Andreas Voutsinas Drama School. He has a credit for script writing in the feature film The Return of Lazarus.